Turned up when planned and started work immediately after we had accepted his quote. Came back to finish the job as planned despite the terrible weather. Friendly and polite and we now have superb reception on the TV. DG TV and Aerial Services is a well established business based in Chesterfield that has been running for over 20 years within Derbyshire and South Yorkshire. Our local engineer has extensive knowledge of the area, including how the terrain affects the reception of audio, video and satellite transmissions from nearby transmitters or transponders to your TV aerial or satellite dish. Aerial and satellite TV distribution systems. Commercial IRS and MATV Systems. Leisure Centres And Leisure Facilities. There are a variety of reasons that can adversely affect the reception to your TV aerial or Sky satellite dish and our engineer will firstly diagnose and then offer advice with regards to repairing or installing a new aerial or satellite system. Because of the nature of the six terrestrial digital blocks of signals (multiplexes), you may be experiencing programs missing and/or your picture breaking up(pixelation). A spectrum analyser to optimise the signal strength and quality. Do you already have the appropriate equipment but still can't receive all the channels? Are you experiencing 'picture break-up' or poor quality reception from your TV aerial and you need a repair or a new installation? You can call us and enquire about multi-room distribution systems that will allow you to watch digital television in every room in the home, or help to fix any issues you might have with an existing multi-room television system. If you're already watching Freesat, we can enhance your viewing and have one of our installers upgrade your television viewing to Freesat HD or Freesat+ (LNB upgrade may be required ) giving you the benefit of high definition television and enabling you to enjoy several HD channels that are already available. After our installer has completed the job, you can enjoy your favourite TV programs throughout the day with the ability topause, rewind and record your favourite channels. Satellite Dish Repairs And Sky Dish Alignment. So give us a call and we can arrange an appointment and our professional aerial installer can give you a free estimate on aerial repairs and installation and help you to enjoy the full benefits of the new digital age! DG TV And Aerial Services are always available for any queries you may have regarding any kind of aerial repair or installation. We can offer a free no obligation quote. For larger repair or installations, our engineer may need to visit the property in order to offer an accurate quote. Therefore minimising the probability of any additional costs that may be incurred during or after the initial work that has been agreed between you and DG TV And Aerial Services. Contact us now to see how we compare to other aerial and satellite TV repair services in Chesterfield. Our Aerial And Satellite Dish Repair Services will always be carried out with your safety as one of our primary concerns during any installation. 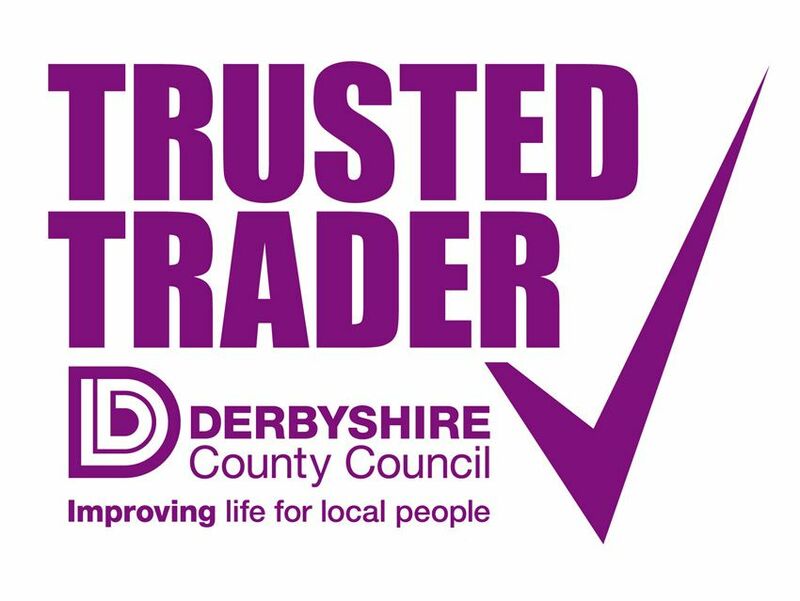 You can always find us on North East Derbyshire County Councils' website under the Trusted Trader Scheme .